It involves identifying and addressing the behaviors and thinking patterns that cause and maintain problems. It looks at how thoughts and behaviours contribute to feeling down, anxious, stressed or otherwise unhappy. The goal of CBT is to help people overcome emotional problems and reduce unhelpful behaviours. 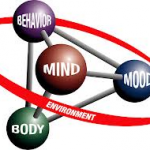 CBT can give you the tools to think more realistically and feel better. What is treated by CBT? Depression, anxiety, panic, stress, social phobia, obsessive compulsive disorder (OCD), health anxiety, post traumatic stress disorder (PTSD), bulimia, anger, marital distress, chronic pain, and more! Recent books by Dr Judith Beck explain CBT for weight loss too. How effective is it? In a psychological review in 2006 in the academic journal “Clinical Psychology Review”, which included 9995 subjects in 332 studies, cognitive behavioural therapy was found to be “highly effective” for adult depression, generalized anxiety disorder, panic disorder, social phobia and PTSD. Many other studies have found it to be useful for a range of other conditions. The effects of treatment last well beyond the end of treatment, and specifically long term effectiveness was found for depression, generalized anxiety, panic, social phobia, and OCD, with relapse rates half those of pharmacotherapy. This is thought to be because the therapy focus is on modifying thinking and transferring the skills learned in therapy to everyday life. Thus treatment effects persist following the end of treatment. For fastest handling of your query, book now through online booking, email us or use the online form and we will respond within one working day. We look forward to working with you!